At the very beginning, there were 15 startups coming from all around Africa. After an incredibly fierce competition in Nairobi, Kenya, here are the winners of TechCrunch’s first ever Startup Battlefield Africa. Startups participating in the Startup Battlefield have all been hand-picked to participate in our highly competitive startup competition. They all presented in front of multiple groups of VCs and tech leaders serving as judges for a chance to win $25,000 and an all-expense paid trip for two to San Francisco to compete in TechCrunch’s flagship event — Disrupt SF 2018. Our judges also selected a winner in each of the three categories: productivity and utility, social good, and gaming and entertainment. 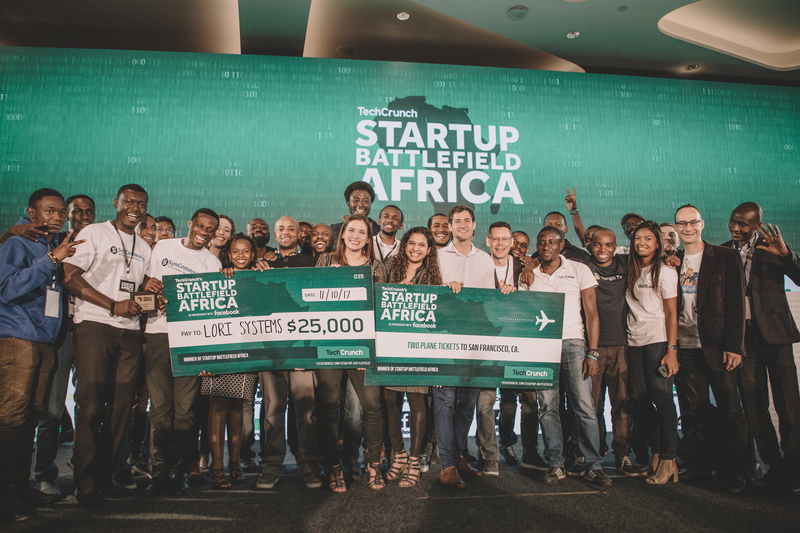 And now, meet the Startup Battlefield winners of Startup Battlefield Africa. Lori Systems is a local startup based in Nairobi. It has been building a logistics platform to improve cargo transportation across Africa. Most importantly, Lori Systems can optimize truck utilization so that you don’t waste time and money. The company also handles invoicing, payment and tracking. It’s an all-in-one platform that leverages technology to elegantly solve logistics issues that have been around for a while. Lori Systems has been named Best of Show and won the productivity and utility category. AgroCenta is helping more than 8,000 farmers to improve the agricultural value chain. In particular, small farmers in rural areas are facing many challenges to access large markets. The startup is helping them cut out the middlemen, and optimize truck deliveries to large markets thanks to an online marketplace. When farmers get an order, they can handle all the logistics through AgroCenta. More importantly, many farmers can now generate decent revenue, which leads to a better standard of living. SynCommerce wins the prize in the gaming and entertainment category, which also included fashion. The company has been working on the perfect service for e-merchants. If you’re running a small e-commerce business, you know that it can be painful to list your products on multiple e-commerce websites. SynCommerce lets you list all your products on Shopify, eBay, Etsy, and soon BigCommerce and Amazon. The service can even look at your inventory and hide products on all your platforms if you’ve run out of stock. Existing customers have been noticed a huge increase in sales after switching to SynCommerce.